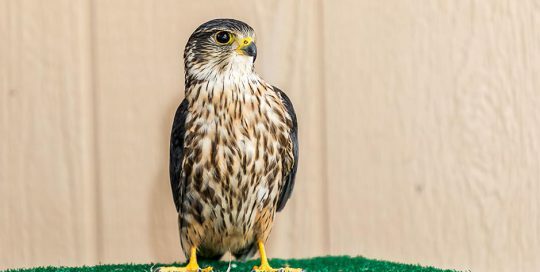 Maverick, the Merlin, is a big personality in a little feathered body. As soon as he hopped out of his crate he owned the place. 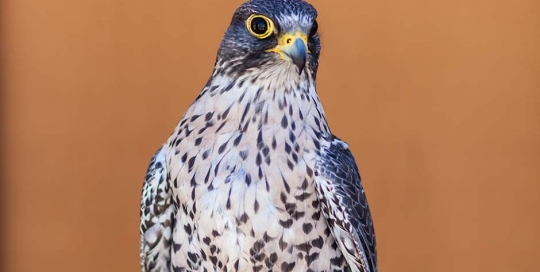 Merlins are small, powerful falcons that feed primarily on songbirds. Their appearance is similar to the North American Kestrel. Maverick was injured in the wild and suffered wing damage that did not heal properly. Due to his calm behavior the rehabilitation facility housing him contacted Animal Ark about permanent placement as an education bird. Maverick arrived on May 6, 2018. 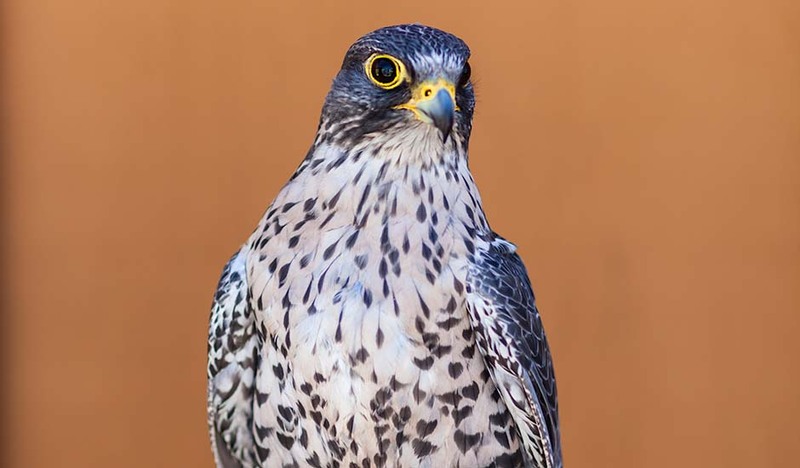 We are excited to have the opportunity to house this bird because merlins are rarely seen in captivity. 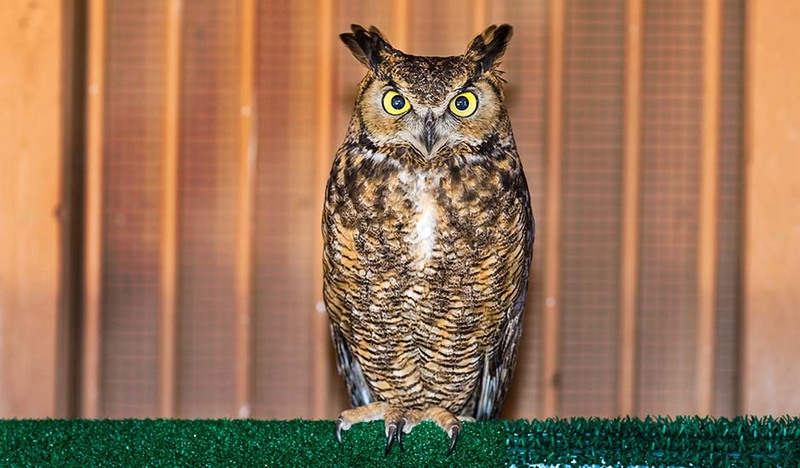 This owl was delivered to Animal Ark on January 25, 2017 from a wildlife rehabilitation organization in northern California. At 3-4 weeks old the owl was found on the ground by people in the area who began to take care of it. It is not known what was fed or exactly how long the bird spent in contact with humans. 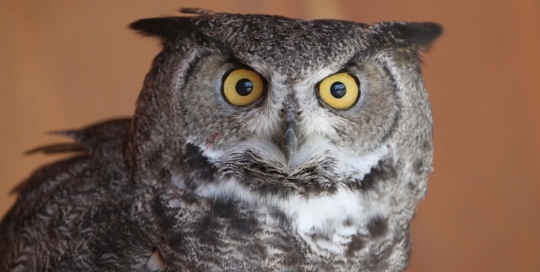 Eventually the owl was given to the above wildlife rehabilitation group but the bird had already become imprinted on humans through hand feeding and handling. 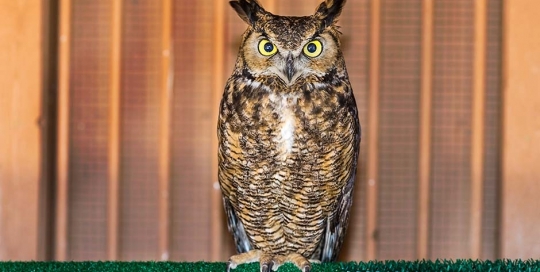 Once at the rehab facility an attempt was made to re-wild the bird by placing it with a surrogate great horned owl female and other owlets. The owl still continued to call out to humans when it would see them. At full growth a final attempt was made to see if a return to the wild was possible through a soft release from the site where the owl was housed. After hanging around for a while and then enjoying the company of neighbors the owl was finally coaxed back into an enclosure and deemed non-releasable. Shortly thereafter Animal Ark was contacted. 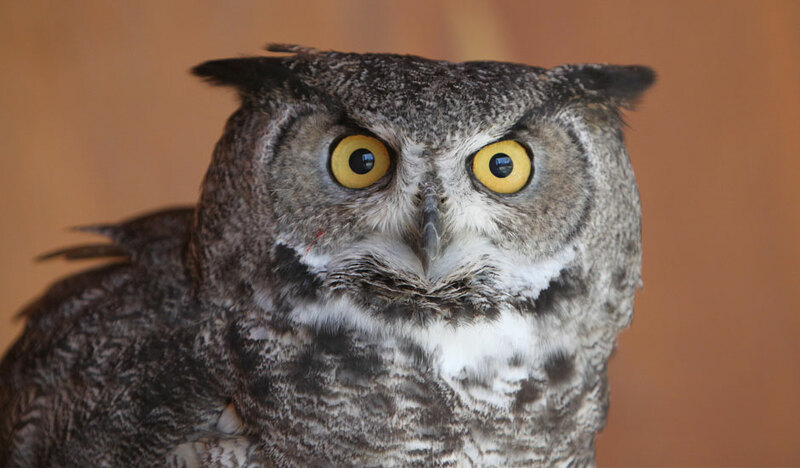 While waiting for permits to be granted, weather to clear and the Interstate 80 pass to stay open, a rehabilitation volunteer worked with the owl which made the transition to the Ark as smooth as possible. If you have not already guessed I. O. is an abbreviation for Imprint Owl! 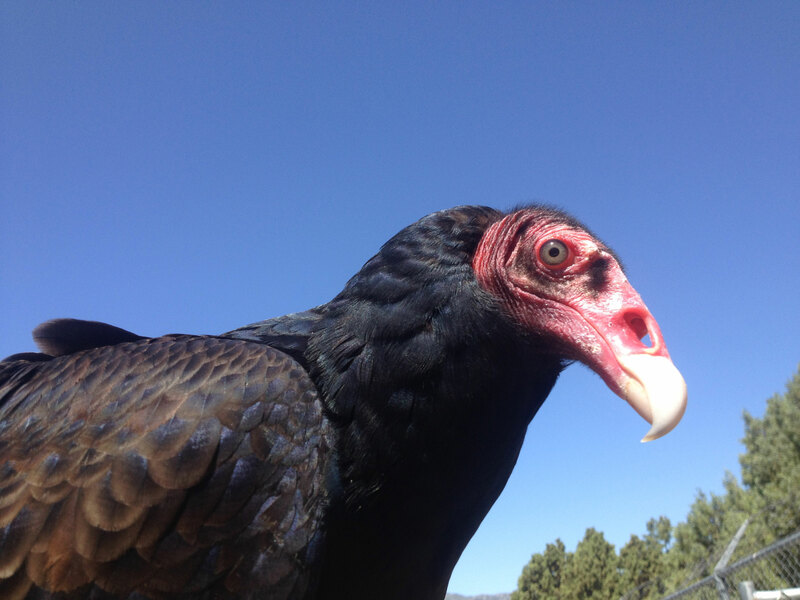 Animal Ark learned that there was a turkey vulture in a rehabilitation facility that could be euthanized if deemed non-releasable. The original causes of the vulture’s injuries are still unknown. After a biologist associated with the rehabilitation facility tried to release the vulture with no success, a permanent home was prepared at Animal Ark. Ivan arrived at Animal Ark on Saturday, July 7, 2012. 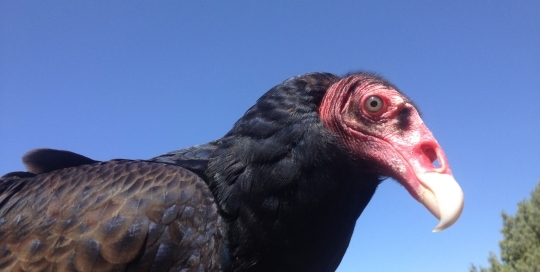 The scientific name of the turkey vulture (cathartes) comes from the Greek word kathartes which means a cleanser or purifier and refers to the scavenging nature of the bird. The turkey vulture feeds almost entirely on carrion, and is one of the few birds of prey that uses its sense of smell to locate food. Turkey vultures have an elevated hind toe for walking, cool their body by urinating on their legs, and do not possess a voice box so they are nearly silent, except for hisses and grunts. Some scientists believe that these vultures are more closely related to storks than hawks and eagles. Cordelia was found in a park with an injured elbow. Because of this injury she could no longer fly and therefore could not be released back into the wild. The rehabilitation facility which housed and treated this bird did not want to euthanize her because she was so tractable. Animal Ark was contacted and after several months of working toward obtaining a permit for raptors, everything was finally in order. The owl arrived August 1, 1990. 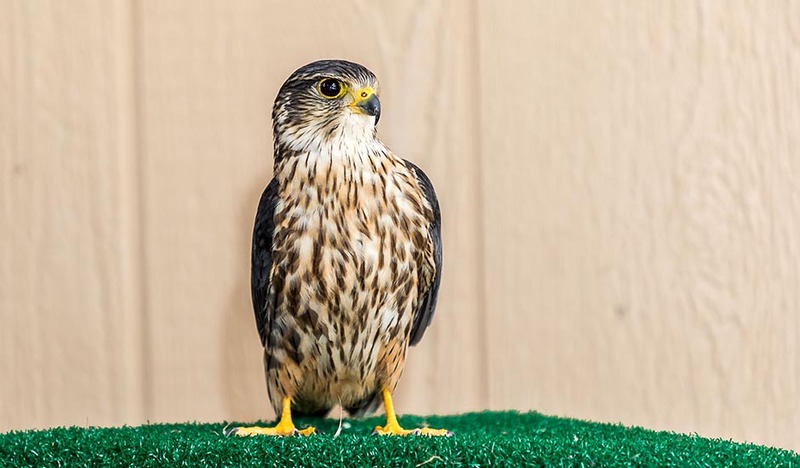 As the first bird of prey species at the Animal Ark, Cordelia challenged the staff to create an enclosure that would meet her special needs. Your tour of the Ark will show you there are now several species of raptors.